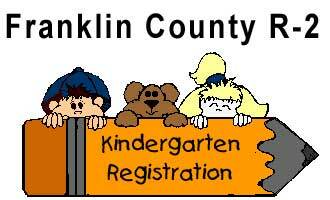 Franklin County R-2 - Kindergarten registration for the 2014-15 school year for the Franklin County R-II School District will be held on Thursday, March 6th, from 1:00 – 2:00 p.m.
At this time, we will discuss kindergarten readiness and the screening process. Parents will receive information about what we would like children to know before entering Kindergarten. There will be an opportunity for discussion and questions with the principal. For enrollment in Kindergarten this coming fall, your child must be five years of age before August 1, 2014. To register, please bring your child’s birth certificate, Social Security card, and immunization records. 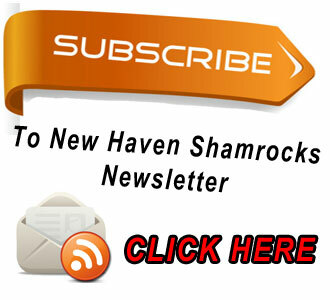 We also need proof of residency, for example, a tax bill or utility bill with your address works the best. Two doses of live measles vaccine on or after their first birthday. Two doses of live mumps vaccine on or after their first birthday. Two doses of live rubella vaccine on or after their first birthday. At least three doses of polio vaccine, with the 3rd dose received on or after the fourth birthday. At least four doses of DTP, with the last dose received on or after the fourth birthday. Three doses of Hepatitis B vaccine. Two doses of varicella (chickenpox) vaccine, or proof of disease. Proof of disease is a statement signed by a physician indicating the month and year the child had the chickenpox disease. If you have any questions regarding the enrollment or screening procedure, you may call the school office at 573-237-2414.